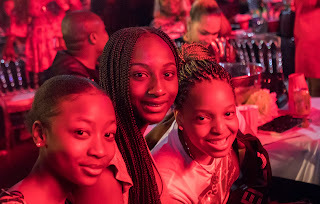 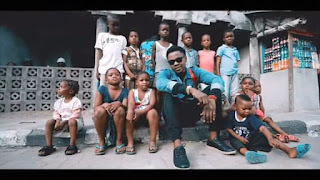 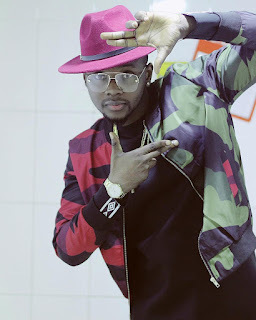 During the last weekend Easter celebration, renowned Nigerian artist and Afro-pop super star, Kiss Daniel, took to the street of idi araba, Mushin local government area of Lagos, to give to the poor in celebration of the Easter festivity. The singer, who is now signed under a new record label, FlyBoy Inc, was priory engaged on twitter by a fan and surprisingly he responded to the tweet as saying feeding the less privilege was a good way of giving back and showing love and appreciation to people with no strings attached. 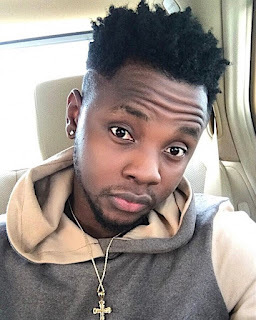 The message on the tweet by the fan asked if he needed a particular number of retweet to answer to the tweet which he replied "No retweets.... Lets feed em tomorrow sharp". 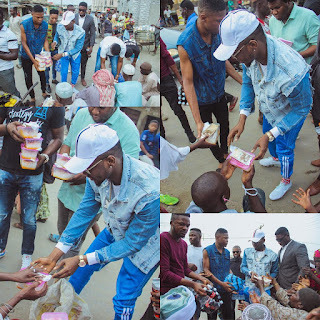 The 'No Do' crooner (produced by Philkeyz) not only stood to his word by giving food to people in the area but he also gave money to others who were unable to get the food especially the beggars which showed how benevolent he is as a person.